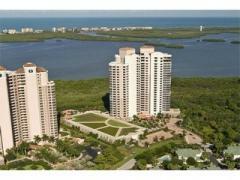 La Scala of Vanderbilt Beach is an elegant mid-rise located just a short walk from the beach. Some residences include boat docks with lifts. Have any comments or questions about La Scala at Vanderbilt? Ask your question and/or share your thoughts about this Building. I am trying to reach the management company for this property. Can someone please help me with contact information? Mike, The management company is Guardian Property Management. They can be reached at 239-514-7432.